Drag your mouse up and down, or press your up arrow key and down arrow key to pan view a PDF file. 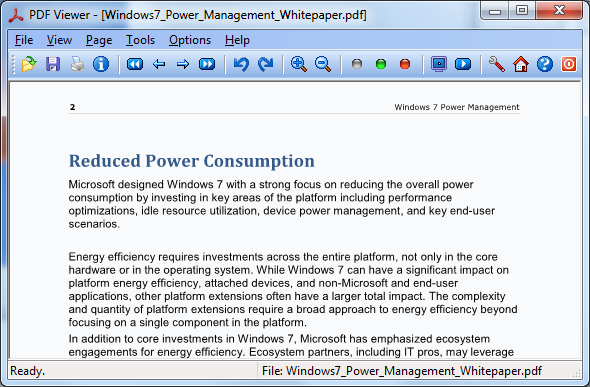 PDF Viewer is a light-weight PDF reader, only 927KB in size. Small, speedy, and powerful!